"A legend among Latin jazz musicians and fans, Ray Barretto helped popularize the conga in jazz and salsa, as well as R& B and rock. He's arguably the most recorded Latin musician of all time." 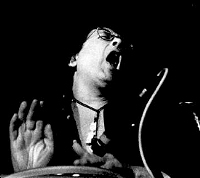 Born in New York City in 1929, Ray Barretto is a bandleader and conga player of Puerto Rican descent. He first played in jam sessions while serving with the US Army in Germany, and worked with several important jazz musicians on his return to New York. In the late 50s he was a frequent sideman on Blue Note sessions by Lou Donaldson and Art Blakey. Before forming his own group in 1961 he was a member of Tito Puente's band. In the early 60s he worked with Herbie Mann, and recorded with Cannonball Adderley, Horace Parlan, Gene Ammons, Red Garland, Kenny Burrell, Stanley Turrentine, and Dizzy Gillespie. He issued the Latin-jazz album Acid in 1967, and from then on was recognized as a major leader of salsa bands. In the late 1970s he signed a contract with Atlantic Records, for which he recorded the jazz-influenced albums Eye of the Beholder (1977) and Can You Feel It? (1978). During the 1980s Barretto continued to play salsa concerts in the USA and abroad, and to appear at jazz clubs in New York. Like many older jazz and salsa bandleaders he is notable for his frequent recruitment of young musicians to revitalize the sound of his ensemble. 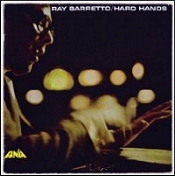 A selected discography of Ray Barretto albums. Eye of the Beholder, 1977, Atlantic. Aqui Se Puede, 1987, Fania. Homage to Art Blakey, 2003, Sunnyside.